Richmond Mourns Passing of Community Activist Lillie A. Estes | News and Features | Style Weekly - Richmond, VA local news, arts, and events. The sudden death of Richmond luminary Lillie A. Estes, a community activist who inspired both influence and animosity from city officials, has brought hundreds together to plan a celebration of her life and map out her not fully realized vision of community justice. Estes, 59, was found in her Gilpin Court apartment late last week. Her funeral is planned for Feb. 12 at Sixth Mount Zion Baptist Church. A fundraiser for expenses collected $5,000 in less than 24 hours. Estes served on the residents' advisory board to the Maggie L. Walker Initiative for Expanding Opportunity and Fighting Poverty in 2014. Disillusioned by a lack of meaningful results from those efforts, she ran for mayor in 2016. 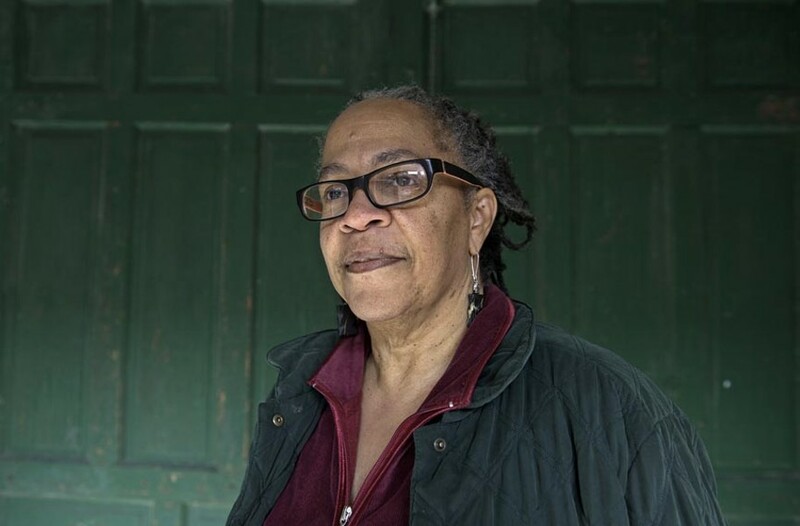 She also co-founded Residents of Public Housing in Richmond Against Mass Eviction, or RePHRAME, and has served on the board of the Virginia Poverty Law Center. She helped lead Richmond's participation in the Ending the Mass Incarceration of Women and Girls National Town Hall in July. Although she was a lifelong fighter for social justice, the 2010 murder of her son, John E. Williams Jr., just three days short of his 24th birthday, inspired many of Estes' more recent Richmond-focused community justice efforts. Nationally, she was involved with Mothers for Justice and Equality, based in Boston, and collaborated closely with Harvard Law School's Charles Hamilton Houston Institute for Race and Justice. In Richmond, her efforts were often met with resistance from City Hall. Recent examples included her opposition to both the plans for a baseball stadium in Shockoe Bottom and plans for a new downtown coliseum. For every plan Estes opposed, she presented calls for "co-creating and co-visioning" in place of top-down policy moves. In the days prior to her death, Style Weekly had been emailing with Estes about bringing her back into the paper's opinion page. She had planned to write a column calling for a participatory budgeting process in search of alternatives to the coliseum plan. Born in Newport News, Estes was a Virginia Commonwealth University graduate. She had recently transitioned the two-year-long Community Justice Film Series into the Community Justice Network, in partnership with the Houston Institute. The group was created to serve as a collective of individuals and organizations "holding space where the adversely impacted can create change." The network had recently published a blog documenting the Richmond Redevelopment and Housing Authority's lack of infrastructure plans — she called upon the community to advocate for more input at a Jan. 16 Board of Commissioners meeting. Hold the Phone, a joint project with the Houston Institute, had scheduled a March 2 screening of films made by Richmond youth at the Six Point Innovation Center. Statements of grief and determination flooded social media when news broke of her death. Mayor Levar Stoney held a moment of silence for Estes before his State of the City address on Thursday. City Council issued a statement on her passing shortly after. Delegate Jeffrey Bourne recognized her life and accomplishments from the floor of the General Assembly. Her son, Tobias, shared news of her passing on Facebook. "Anyone who knows me know that my mother was my rock," he said. "If you wanted to know who gave me my values and views, it was her. When my brother passed she stayed strong. Now I have to stay strong. Love you Mom." Estes' last public statement, shared on Facebook, was an inspirational quote: "Good things come to those who believe, better things come to those who wait, and the best things come to those who don't give up." Style Weekly will feature reflections from those who worked with Estes, as well as more about her vision for Richmond, in an upcoming story. People wishing to add their voices should email brent.baldwin@styleweekly.com or call 358-0825.